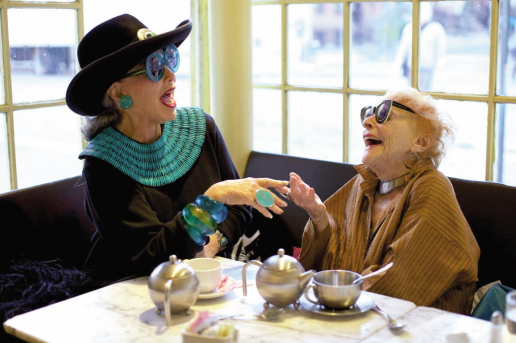 Advanced style, Flat age fashionista’s on ageless style. I rarely talk about a movie on this blog magazine. Not that I don’t like movies, I adore good cinema, but I think they have enough coverage by other media, that I don’t have to bother you with an extra, very personal opinion. But, if one make’s it to the ‘content-to-absolutely-post’ list, I think it’s worth it. The film is not out in Europe yet, but damn, when I first saw the trailer, I just loved it straightaway. 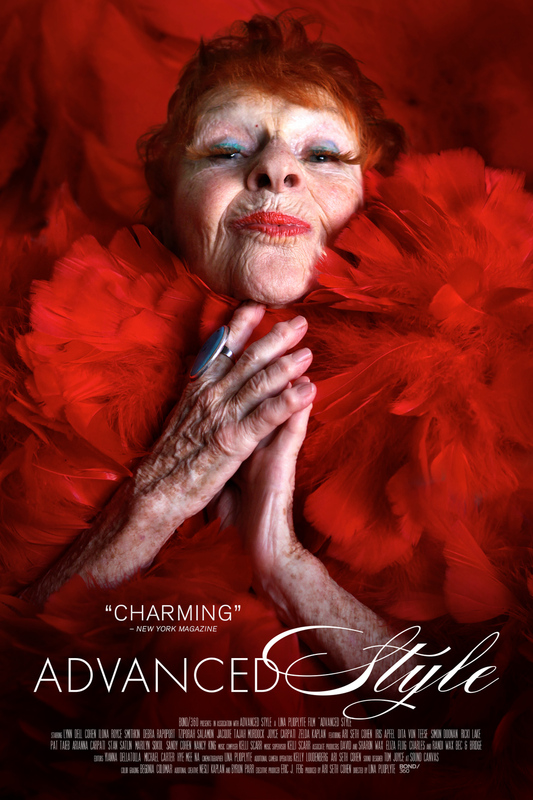 Advanced Style, that’s the name of the move, a documentary on the lives of seven unique New Yorkers whose personal but most of all eclectic or shall we say eccentric- style and vital spirit have shaped their approach to aging. The ‘idea’? Why always focus on the hipster/youngster/fashionista’s, swarming around photographers during fashion weeks & events? 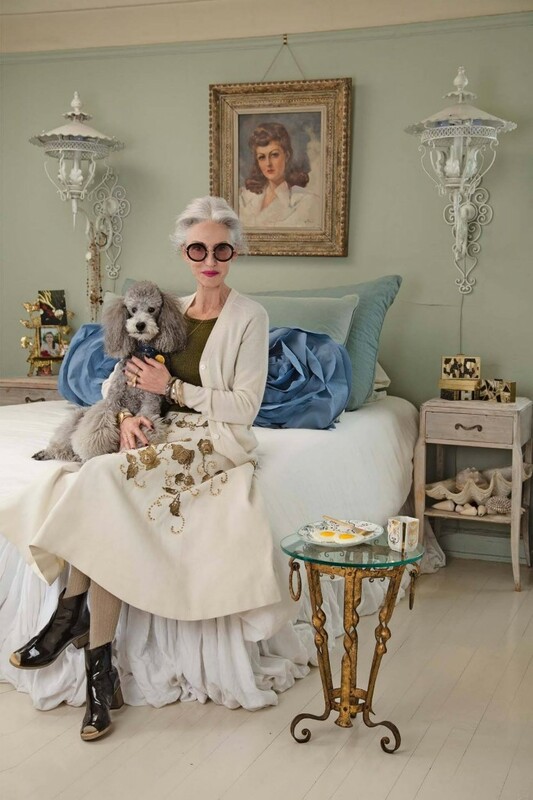 In this youth obsessed age, you might get inspired by these +60 and over, fashion-conscious woman, with their bizarre, extravagant but very honest and open opinion about fashion and beauty. And the best thing? They do not only talk about it, but they live the fashion lifestyle to the bone. 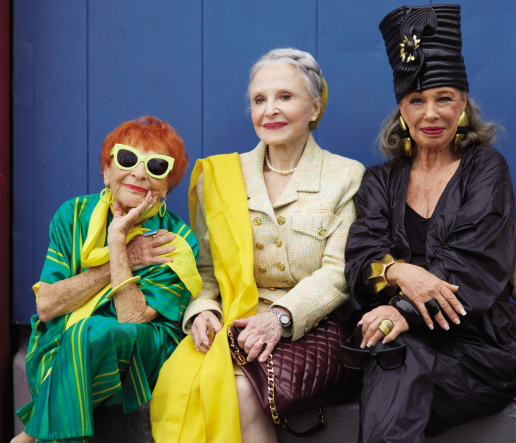 These wonderful ladies have the power to really change our perception of aging and the so-called age appropriate style. The fun thing is not only that they cool, very straight forward but they also look stunning and very confident in their eccentric fashion feel. They live, work & play in the fashion world, and because of the rise of the so-called ‘flat agers’, they’re asked for several jobs, photo shoots and collaborations. “I hope they see that you can try something new,” cast member Lynn Dell Cohen said, referring to what she hopes young viewers walk away with. Whether she’s ever lied about her age, Iiona Smithkin who is the eldest featured in the film, admitted she always had a prepared quip for that question. “When I was younger they always used to ask me ‘how old are you?’ and I would say ‘I’m between 50 and death,” Smithkin told PIX11 News. Advanced Style The Documentary was fundraised trough Kickstarter and released in the US on September 26th and will arrive soon, I hope in Europe. Strangely enough the video of the documentary is all ready for sale at Amazon, only in the UK so far. Next PostLooking for an enthusiastic PA to help out.